Folgarida is not only beautiful ski resort, but also an important economic center in Trento region. Since last century, Folgarida has developed into great tourism destination offering large amount of tourism services and facilities. It is also a great ski holiday destination for family with kids of all age. 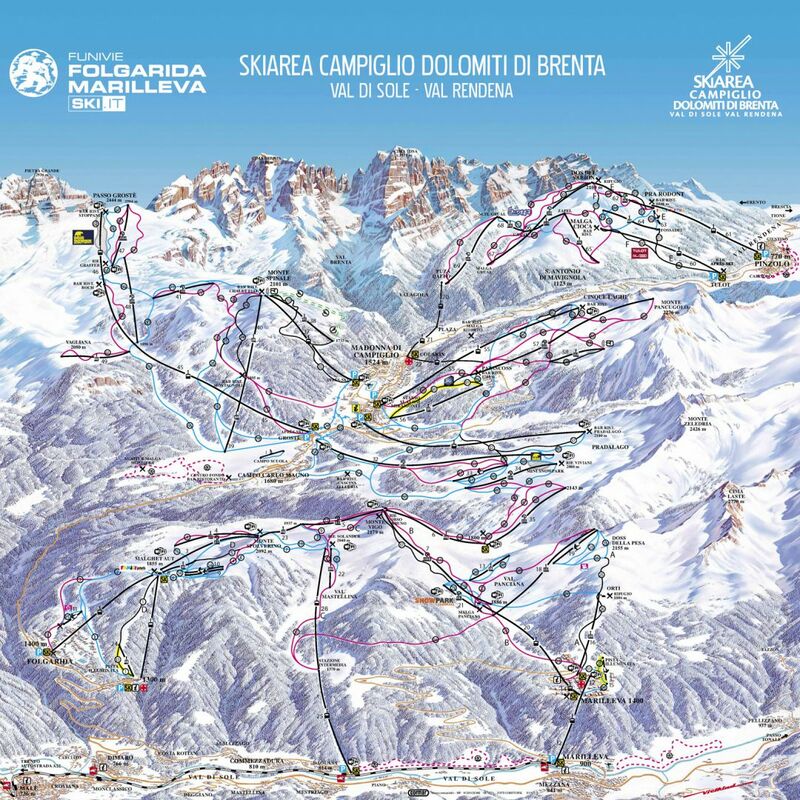 Here you’ll find vital information on the Folgarida ski resort as well as help and guidance in booking your transfer. Folgarida is located 1270 m asl and is a perfect place for memorable ski holidays in Italian Alps. This is one of the resorts built by purpose in beautiful scenery with typical Alpine houses - a great place for ski holidays. The resort has a modern and high quality lift system that can transport thousands of visitors up to slopes and neighboring areas. We take a dynamic approach to our pricing structure. We will not offer you a flat rate quote for your transfer to and from Folgarida. To offer you the best price, we take several aspects in consideration; in result we can offer your the best possible deal and be cheaper than our competitors. All the factors mentioned above will only ever result in our base-rate going down – we never over-inflate our prices at any time or for any reason. We also offer great discounts for off-peak, off-season and midweek transfers to Folgarida. If looking for the best possible deals, travelling outside peak season or midweek typically results in the biggest savings. We offer midweek (Monday to Friday) prices with up to 60% discount than weekend prices. Folgarida is a great destination for intermediate and beginner skiers as well as those with families. Folgarida is a perfect winter ski resort for all the family. The resort offers convenient child facilities and entertainment options. There are also several highlights for families with kids. Children 8 years old and younger will receive a ski pass for free when skiing with their adult companion. The area offers also numerous ski and show parks for family fun and activity. We are the lowest cost airport transfer provider that covers Folgarida and other ski resorts in Italy and all Alps with private transfers. Our vehicles with our professional English-speaking drivers are based at the departure airports ensuring we are the lowest cost, most reliable and punctual transfer service for the Italian resort. Book online with us and we will guarantee the fastest, lowest cost and most efficient transfers for your needs. If your service request are from airport or destination not listed, contact us directly and we will do everything in our power to help you. We operate at the lowest cost possible without making cuts on our service, reliability and safety. Start and end your trip to Folgarida in the best possible way with Alps2Alps transfers. Book your transfer here.